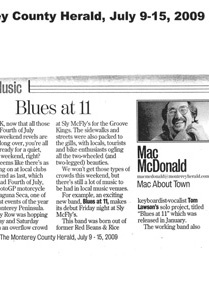 In 2008, keyboardist/songwriter Tom Lawson, bassist Joe Vallaire, and percussionist Jamey DeMaria had just finished Tom’s CD titled ‘Blues at Eleven’ featuring the Groovehounds. The project was long overdue and the satisfaction they all had after completing the project left them wanting to go out and perform the music to live audiences. 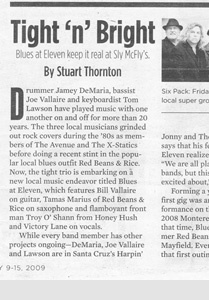 Since the music is influenced by the blues they decided to call this new band Blues at Eleven. This rhythm section has played together for the past 30 years, laying down the groove for other artists while trying to find the time to record and play their own music. 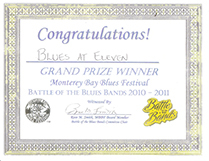 Prior to Blues at Eleven, they spent 7 years touring and recording with an award-winning blues band. 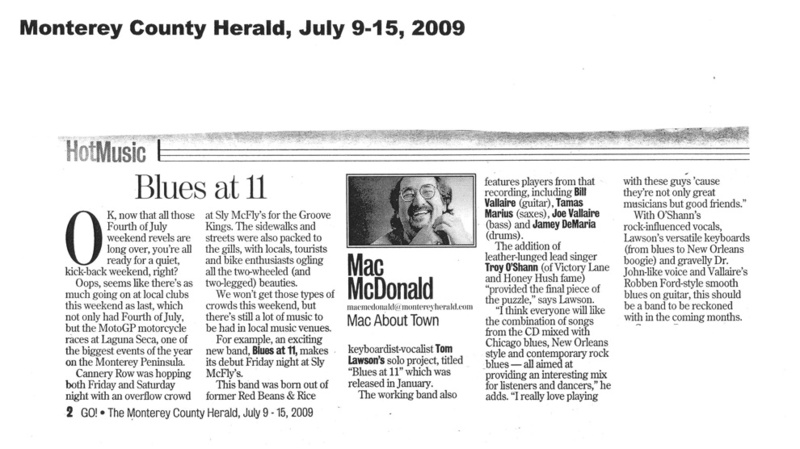 The decision to leave the band in 2007 was difficult, because their last recording project with the band was getting national and international air play with great reviews. 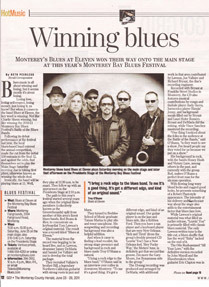 They were also sharing the stage with some of the greatest blues artists at Blues, Brew, and Jazz Festivals, wineries, clubs, concerts, and casinos throughout California and Nevada. The experience they gained during this period helped them make the decision to move forward with their dream to play and record their music. 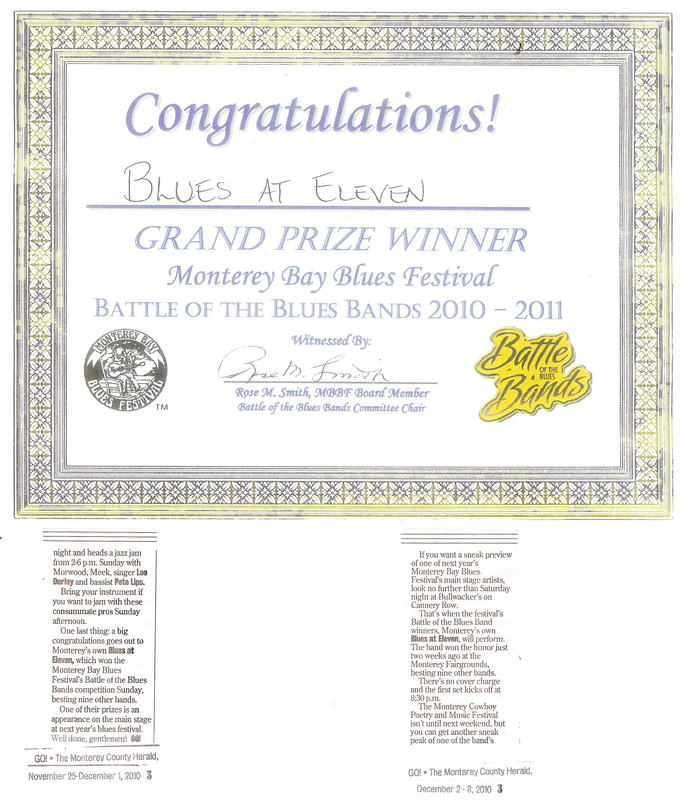 They went to work finding musicians who could perform at the high level already established by the Blues at Eleven founders. The first member recruited was Joe’s brother, Bill Vallaire, a legendary Northern California guitarist with strong roots in jazz and blues. Bill had worked on numerous recordings and gigs with this rhythm section and the chemistry and groove had always been great. Tamas Marius, a Berklee School of Music graduate who had recorded and toured with them previously, brought his exceptional alto and tenor saxophone skills, along with his songwriting and recording background to the band. Rounding out the band was lead singer and front man, Troy O’Shann. 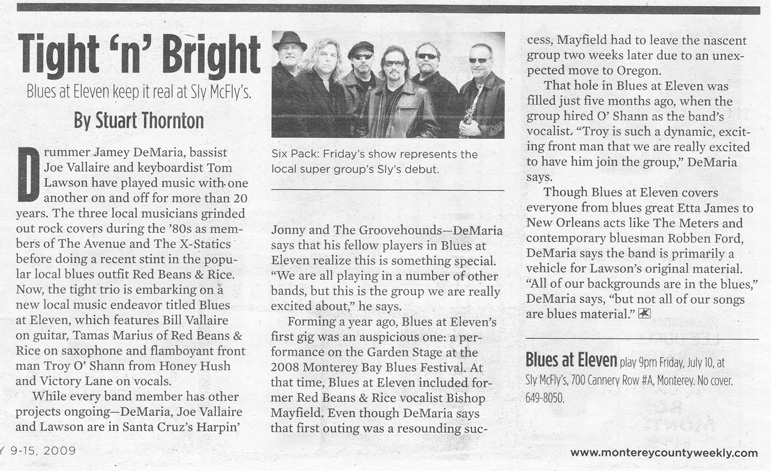 Troy’s background in rock and blues and his strong stage presence have made him a perennial crowd pleaser and an exciting addition to the band. 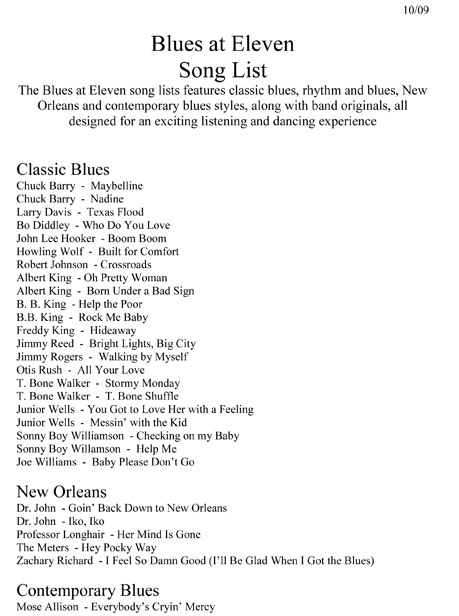 Blues at Eleven’s eclectic mix of blues, rock, funk, and jazz, performed by these accomplished musicians, is a sure way to ignite a crowd and make any event a huge success.